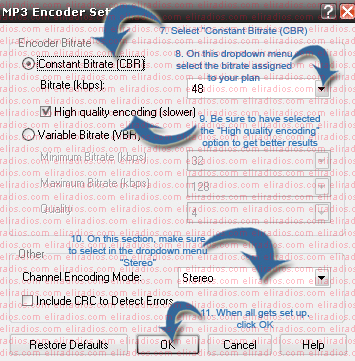 ELIradios - Tutorials - Change mp3 files bitrate. How to change your mp3 file bitrates? This steps are need to be done only one time, if you configure it for your radio bitrate you dont need to follow them again because the settings keeps saved..
16. The files are ready to be uploaded to your media folder using ftp to add them on your playlists. Icecast is a powerful streaming media technology solution which enables audio to be broadcast across the internet. Audio listeners can access the stream through any live MP3 supported media player, e.g. Winamp, Windows Media Player, Real Player, as the encoded audio format is MPEG Layer-3, (also known as MP3). It can also be used to deliver on-demand audio for archived broadcasts and is compatible with the Ogg standard technology. SHOUTcast is a great Streaming Media Technology solution which allows broadcasting audio over the internet just like traditional television and radio broadcasts. Listeners can tune in through any media player like Winamp, Windows Media Player, Real Player or Itunes. Shoutcast's underlying technology for broadcasting audio is MPEG Layer 3 (also known as MP3), which can be used to stream audio effectively in a live situation. It can also be used to deliver on-demand audio for archived broadcasts and is compatible with the new aacPlus standard technology. ShoutCast and IceCast are both streaming server applications that essentially serve the same purpose, and they're both free to use. IceCast offers a few more advanced features and is open-source software. 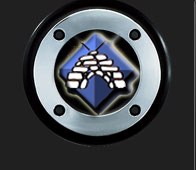 One of the biggest differences between IceCast and ShoutCast is that IceCast detects automatically when a live dj starts a transmission and stops the autodj, and then enable it when the live transmission stops, while ShoutCast needs to have the AutoDJ stopped to be able to start broadcasting and viceversa. 2009 (c) Copyright ElitePalaces.com. All rights reserved.